Entry by dude on Wed Jul 31 00:13:06 2013. 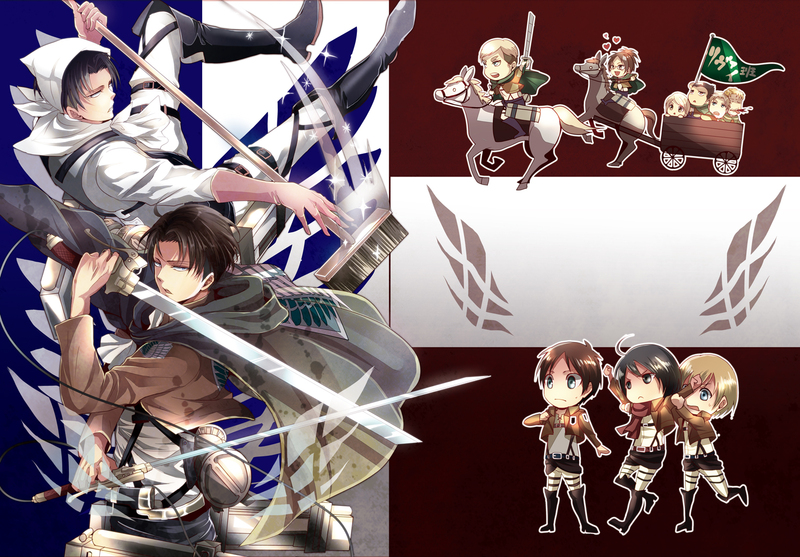 Full version of the Rivaille image at #1545661. I like this version with more characters as well. @DragonCactus: I remember that cool picture. @DragonCactus: Should we group them? @DragonCactus: I guess so. *giggles* I'm sure how to answer that. @dude: Hmm, maybe that might be better.